– In January, I started this blog as Fun Toddler Activities. – We moved from Germany to Texas. – I changed the blog name from Fun Toddler Activities to Simple Fun for Kids. – E isn’t a toddler any longer, she turned 3! But our basic philosophy still remains the same: We do simple activities together that help us learn, bond and have lots of fun together – and then I share them on the blog in hopes of giving you new ideas for the quality time you spend with your kids! 2013 is in the books but our best posts are timeless! My most popular post by far, year round! E had lots of messy fun painting with Shaving Cream Puffy Paint, and it seems like my readers are captivated as well! 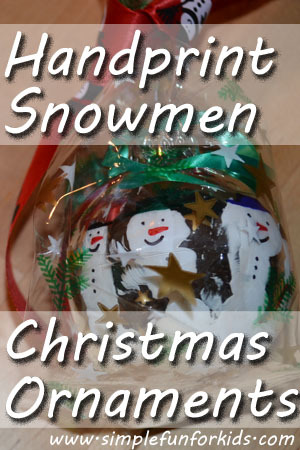 These Handprint Snowmen Christmas Ornaments made great gifts last year, and we made them again in 2013. E had great fun making them both times, and she’s so proud when she sees them hanging on the tree! Shaving cream is such a great, inexpensive sensory material that can be used in a wide variety of ways. 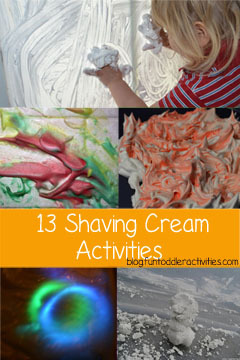 Our round up of 13 shaving cream activities from our own blog and other favorites from around the internet is our third most popular post of 2013! 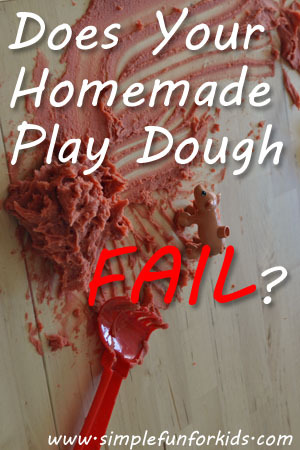 Does Your Homemade Playdough Fail? When you read kid activity blogs, it sometimes seems like nothing ever goes wrong for other people. That definitely wasn’t the case when I first started making homemade playdough! Find out what I did to make it work for us! 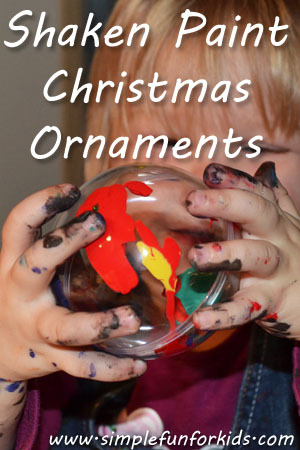 My 5th most popular post of 2013 was about another toddler made Christmas ornament: Shaken Paint Christmas Ornaments. E was only 25 months old when we made them, and not only did they turn out lovely, E had a BLAST making them! When you read the post, you’ll see that it’s truly a craft for all ages. E had incredibly messy sensory fun with this activity using colored scented shaving cream, and even though she went a bit wild with it, it was all so easy to clean up! 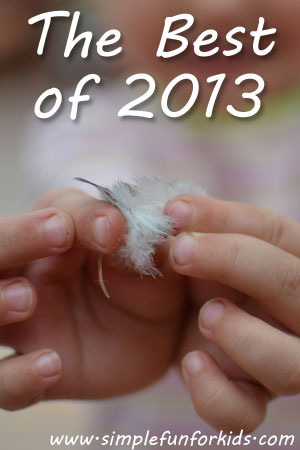 What was your best of 2013 post on Simple Fun for Kids? What was your favorite kid activity in 2013? Leave a comment!